The Swan Valley is one of WA's premier wine regions, located only 25 minutes from the city. The key to planning the perfect day in the valley is simple; pick a day, choose your transportation, and finally take your pick of the selection of premium wineries, microbreweries and eateries. I have some recommendations and ideas below to get you started on your plans for the day. Weekends in the Swan Valley offer a more vibrant atmosphere, while weekdays tend to be more relaxed and peaceful. During the month of October, the wineries are alive with the Spring in the Valley Festival. The festival was changed to a month-long event in 2010 to dissipate the chaos that traditionally hit the valley over one weekend. The month-long festival offers a more pleasant experience with more entertainment, displays, food stalls and of course wine tastings galore. The valley offers picturesque views all year round with full grape vines cascading over the properties in the warmer months and luscious green paddocks in the wet season. The scenic drive to the Swan Valley is an enjoyable experience in itself but when the time comes, your party will be left drawing straws to see who is designated driver. Another option if you wish to drive yourself is to book an overnight stay at one of the many local accommodation options on offer. Accommodation details can be found on the Swan Valley website. If you can get a group of friends together for the trip, a mini-bus or limo will take the hassle out of coordinating your party. There are dozens of tour companies that can put a package together for you including tastings and lunch or you can choose to hire the transport separately and organise your own tastings and meals. In my personal experience both options are easy to arrange, just make sure you phone your chosen wineries in advance as some require a booking for group tastings. Tastings are free at most venues if you make a purchase, otherwise they can be offered from about $3-$5 per person. A boat trip into the valley adds another enjoyable dimension to your journey. If you have access to a boat, you can choose to navigate your own way along the Swan into the valley, but be sure to check accessibility for your boat, especially if it is a larger vessel. Boat cruises can also be arranged via a number of tour companies with morning tea provided on your trip. To make your Swan Valley experience even more exciting, private helicopter charters can be arranged from Perth to the valley. Enjoy the breath-taking views over Perth Metro, the Swan River and the open paddocks as you fly in to your winery of choice. While not all venues are accessible by helicopter, there is still a great selection to choose from, you can get the details from Heliwest who can pick you up from Burswood Park . While there are too many venues in the region to discuss each in detail, here are some ideas to incorporate into your day depending on the type of trip you are planning. For a relaxed picnic, Houghton winery is surrounded by peaceful parkland with picnic benches where you can sit under the shade of the majestic jacarandas. If you haven't packed your own lunch, sharing platters are available from the café from $40. If you are after a hearty meal, pull up a bench in the sun and select a traditional German meal from the menu at the Duckstein Brewery. And while you are enjoying your generous serving of bratwurst sausage, pan fried potatoes and sauerkraut (the pickled cabbage is a must-try) you can sample their range of beers with the tasting tray. Speaking of beers, for those who prefer a cold pint over a glass of fine wine, a trip to Feral Brewery is in order. 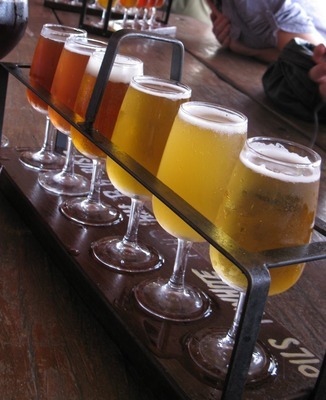 Their extensive range of beers will keep any connoisseur happy for hours and they offer a sampling tray for those who want to taste a selection. A large undercover verandah wraps around the brewery and there is a playground on-site for the kids. Family owned and operated, Windy Creek Estate provides an intimate setting in the gardens to relax and enjoy some wine, cheese and crackers with your friends. The staff are always welcoming and love to spend some time with you to chat about their wines, the current season and answer all of questions. While you are here, don't forget to grab a jar of their delicious homemade jam. A wide range of gourmet cheeses can be found at the wineries with some dedicated cheese outlets dotted around the valley. For chocolate lovers, the Margaret River Chocolate Company has a factory in the valley offering samples and a huge range of chocolate products and merchandise for purchase. 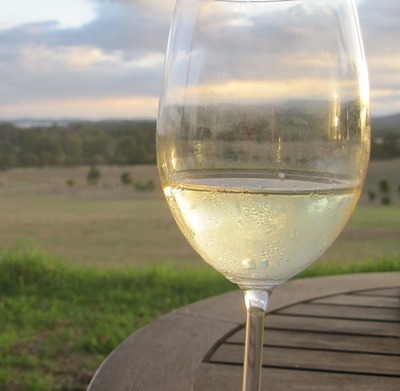 There are many more wineries such as Sittella, Sandalford and Black Swan that are also worth exploring if you can fit them into your itinerary. At the end of the day, you can tailor your trip to the Swan Valley to suit the tastes of your party and length of your stay. It's a great way to enjoy the premium produce Western Australia has to offer and a fun experience to share with friends and family.